Posters by Rachel Zavarella, Lester Coloma and Gord Bond. 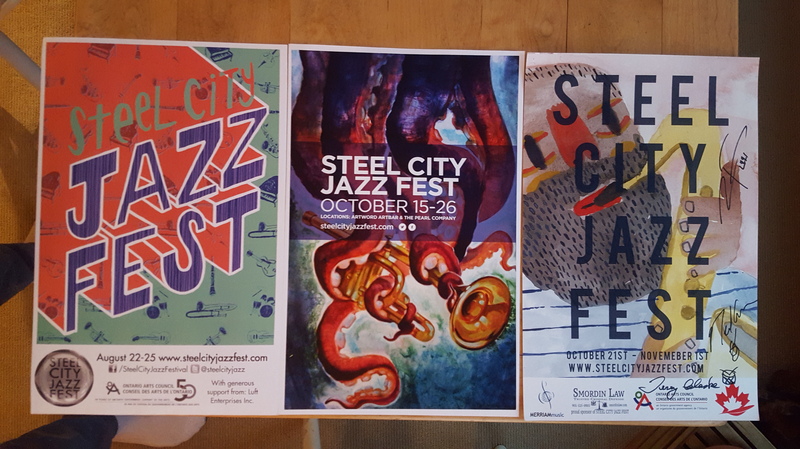 The 2015 Steel City Jazz Festival wrapped up yesterday; what an amazing two weeks! Thank you to all the musicians and listeners for making this little festival feel big and bold and special. Thank you everyone for celebrating jazz with us and for knowing and proving that live music is important. I am full to the top with excitement and inspiration for next year! And thank you again to all the other musicians, audience members, retweeters, word-of-mouth spreaders and jazz lovers who made this whole thing a success. See you next year! Steel City Jazz Festival See you next year!